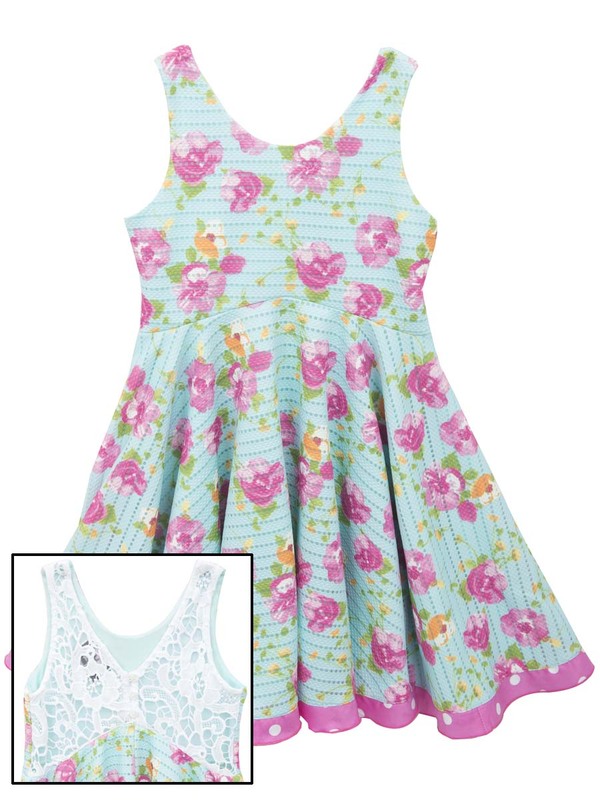 Beautiful sleeveless blue floral crochet sundress features raised waistline and bow. Lined. Precious!